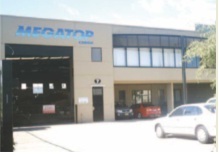 Megatop (Sydney Australia) was founded in 1991 and has developed into one of the leading forwarding companies in Australia providing a full range of logistics services across all industries. Our sea/airfreight rates and customs brokerage services are very much competitive and our level of professionalism and efficiency is second to none. As a company, we have an acute awareness of the importance of ensuring that products reach the designated point of delivery in the most expeditious and effective manner possible. We have a clear responsibility to ensure that the advice, information and service we provide assists clients to maximise their business. When appointing a freight forwarder to move your goods, you need a business partner you can trust, with proven expertise and reliability. Contact us now and discover how Megatop can add value to your business. We position ourselves as the aggressive and dynamic sea-land-air logistics service provider with affiliated worldwide representation.